Trump is reviving his border wall threats. This time, he’s ready to act within a week. 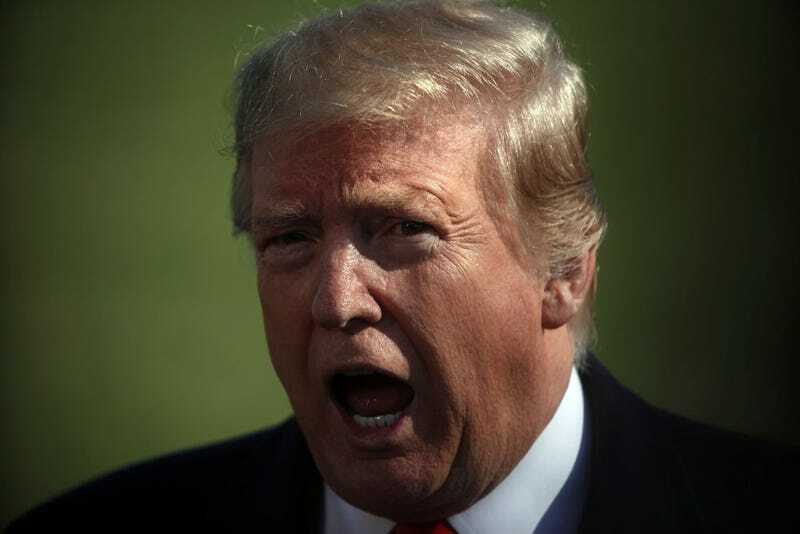 During an appearance in Florida Friday afternoon, Trump said he could close to border to trade for “a long time,” adding that the U.S. had exhausted all of its detention space for undocumented migrants, according to CNN. “We have run out of space. We can’t hold people anywhere. Mexico can stop it so easily,” he said to media. “[W]hat we are doing is a very structured process based on operational needs to determine how many additional personnel we can pull from other duties to address the crisis between the ports,” said the official. Trump’s announcement comes after Customs and Border Protection announced that undocumented migrants would be released in Arizona and Texas. March is expected to be the busiest month on record since 2008, according to CBP. Trump’s tantrum leaves many facets of border closure unclear. Among the many holes in Trump’s thinking, it is unclear whether or not the closure would expand to cross-national transit, imports and exports. Deputy CBP Commissioner Robert Perez told CNN on Friday that such closures would have “pretty severe” consequences.